I love salty and sweet snacks. I decided last night to make a quick treat for me and Lana. 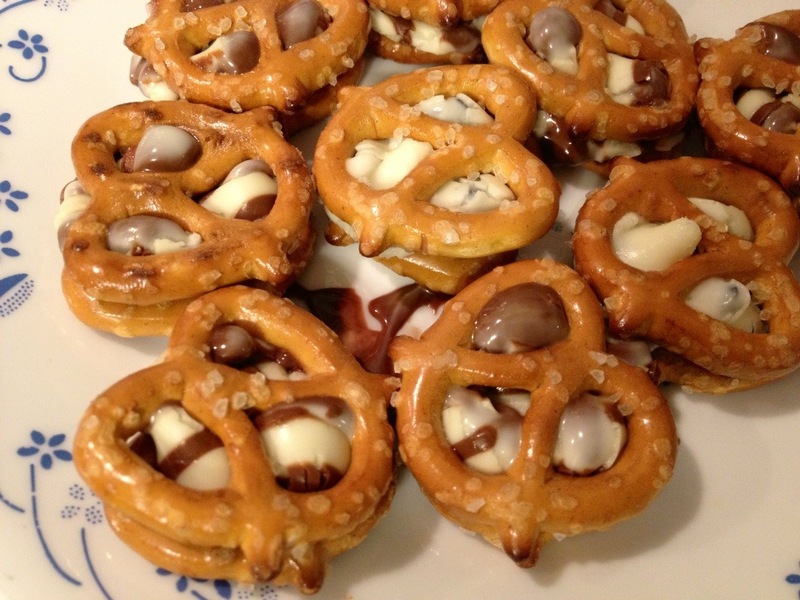 I took pretzels an added a Hershey hugs (white and milk chocolate) on top of it. 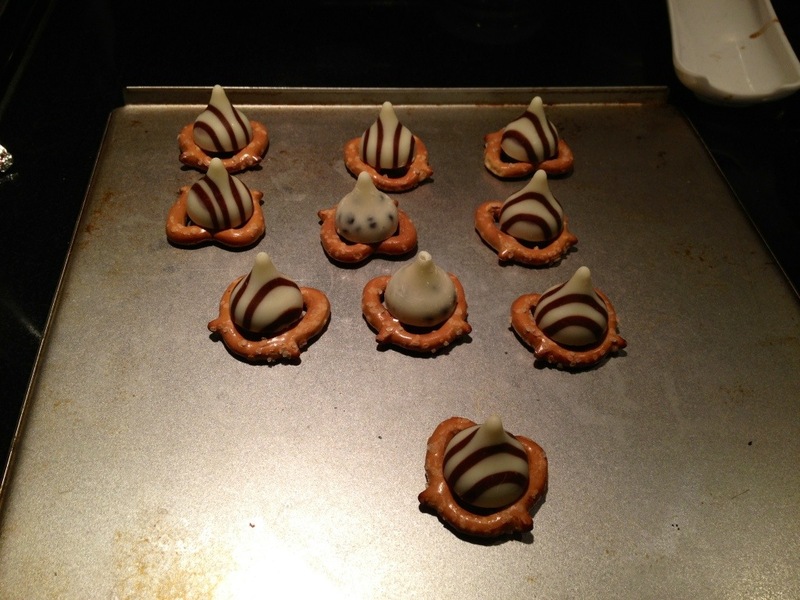 I preheated the oven to 250 so it would cook them slow. I then baked them for 6 minutes. I took them out of the oven and pushed another pretzel over the top. You always make things that I know I would eat waaay too many of! Yuuuummmm!! !